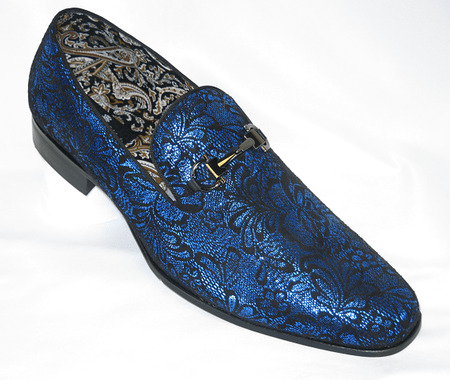 Style is as style does and when they see you sporting entertainer style smoker slip on shoes, you'll really explode big time with these shiny blue paisley smoking loafers. Featuring an Italian slip on style with metal bit detail on top. These shiny blue slip on smoker shoes are ready for the red carpet.